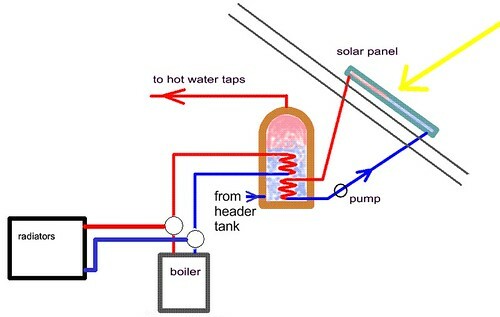 Plumbing for solar collectors is normally carried out by specialist companies when they retrofit systems to existing buildings. The challenge with solar collectors is to do with working out pipe runs that go from the collector outside and through the roof to the inside space where there is a tank to store the warm water. These pipes runs usually need to be as short as possible and need to go through the roof without damaging the roof covering, or at least being properly sealed where they penetrate it. The size, mounting and height of the tank relative to the collectors may also be important. This is all stuff that should be carefully worked out early on at the design stage of the building. If you intend to use a kit then most plumbers will be able to do the installation work.